CADD Center is the world’s largest CAD training organisation with 520 centers and presence in 24 countries having trained over 1 million college students and professionals for 27 years. CADD Center is keen on associating with schools to add value to students through the CADD@School initiative. CADD@School has identified certain skills needed for the students of age 12 to 17 like logical thinking, analytical ability and soft skills and will impart these skills through the specially designed and customized KIDOVATORS programme. 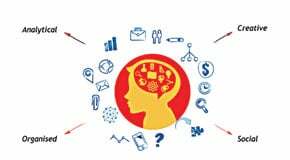 The KIDOVATORS programme aims to nurture balanced brain development in students of 6th, 7th, 8th, 9th & 11th standards by training them on generic, specific and soft skills which will be of great value addition. Classrooms ought to be a digital zone that will enable the students to enter the engineering mindset. This mindset develops when the students grasp complex scientific concepts of the school or college curriculum in a practical way. CADD@School remains a value addition programme that seeks to widen the horizons of the student without becoming an obstacle to the regular curriculum. The training using our licensed software will take place on campus in a convenient manner for both the student and the institution. 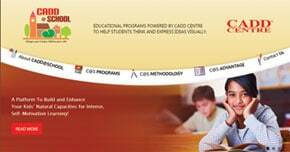 CADD@School helps in enhancing brain development in kids. Childhood is all about learning. The brain and the learning connections within the brain are the heart of learning for kids to achieve their aspiration. For instance, when student learn the fundamentals of engineering drawing they learn the concept of arts, science and analytics that are taught at schools. This early initiation from Cadd@School helps the kid acquire experience, develop skills, and broaden their knowledge by increasing the control of materials, creativity and analytical skills. The programme brings a host of creative and professional software courses to the students of higher secondary schools or technical and vocational training institutions. The programme opens the gate to the world of imagination and creativity. It helps students excel in higher studies and future career, harnessing the power of visual thinking.